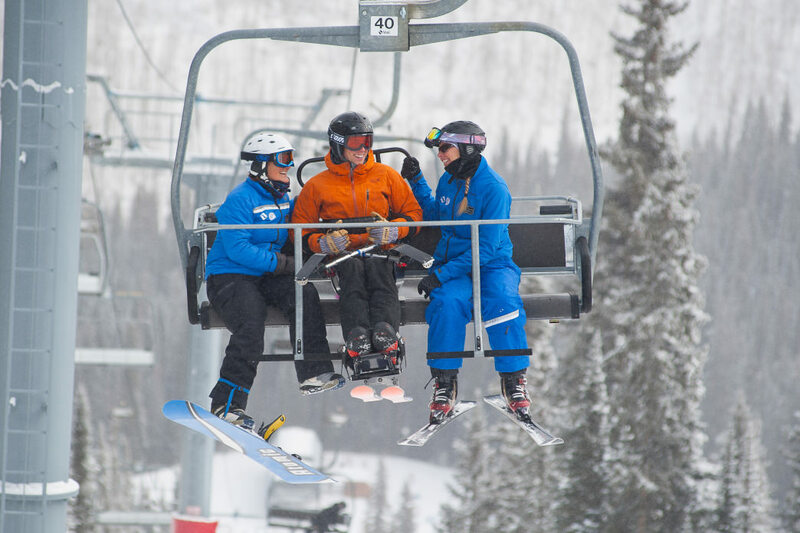 Nearly every large resort in North America offers adaptive ski and ride programs. 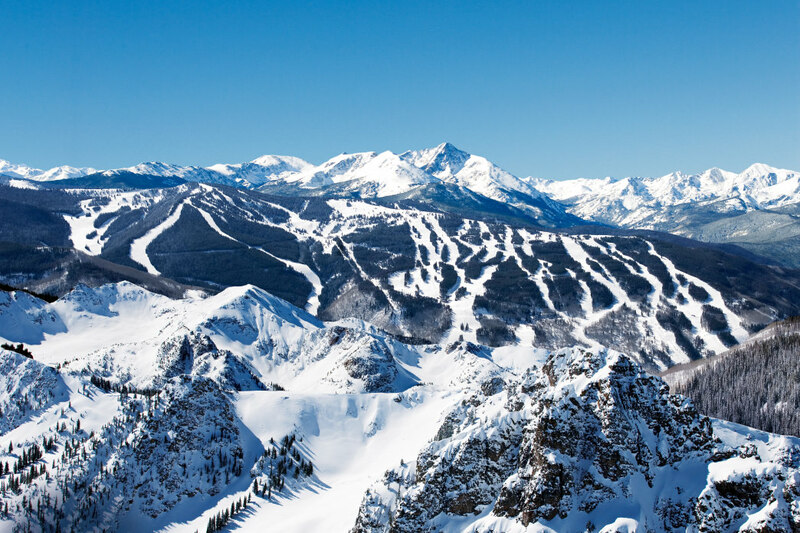 The programs are incredibly comprehensive, either integrated into the resort’s ski and ride school or provided by a world-class partner organization like the Breckenridge Outdoor Education Center. 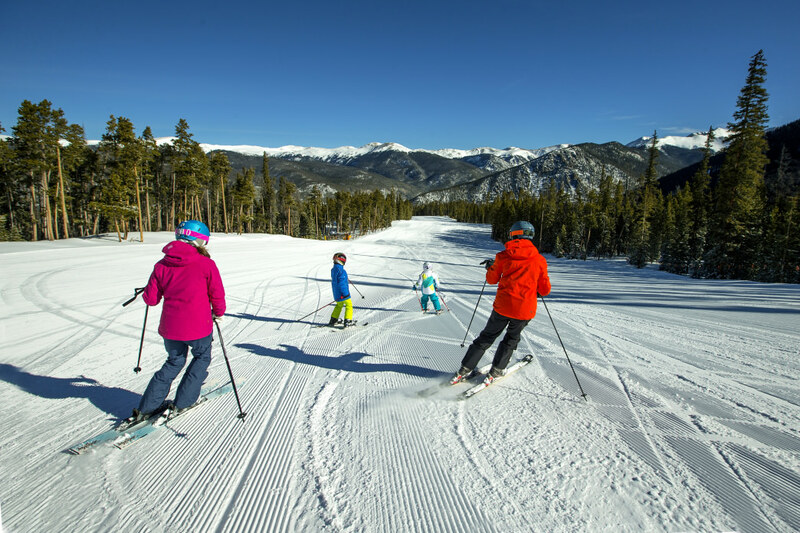 Vail offers adaptive ski and ride programs for children from the age of three years and older (including adults!). If parents want their child to join a group lesson and the child has a learning disability or an attention deficit problem, an adaptive assistant will join the group. 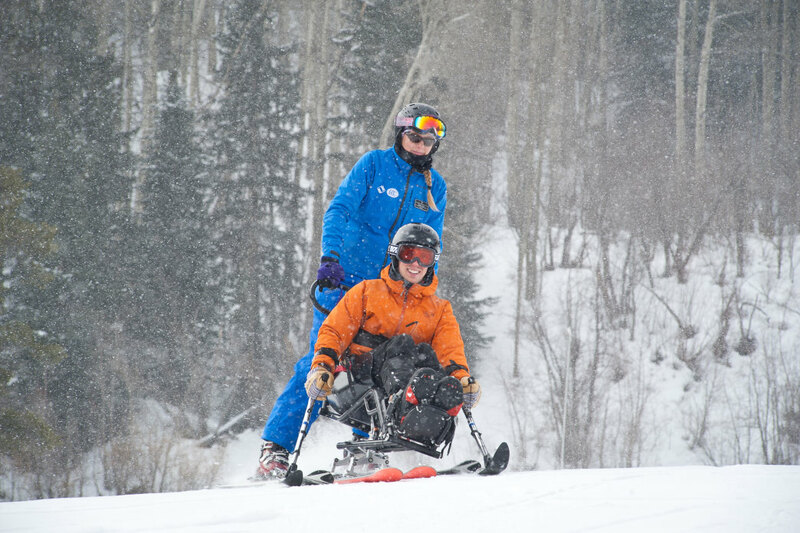 The adaptive ski program at Vail, Colorado, is for all ages. Of course, adaptive programs often introduce skiing and riding to people for the first time. There are individuals who have been involved in car accidents and lost limbs, wounded warriors injured in combat, and a host of others with physical limitations who learn to conquer the mountain on skis or boards designed for specialized types of support. A three-track, for example, is comprised of one ski and two outriggers with small skis on the base that fit around the forearms. A four-track resembles a walker mounted on skis. A bi-ski is designed for individuals who use wheelchairs, comprised of a seat mounted on top of two skis with outriggers attached or held by hand. A monoski is similar, but is equipped with just one ski under the seat, along with handheld outriggers. 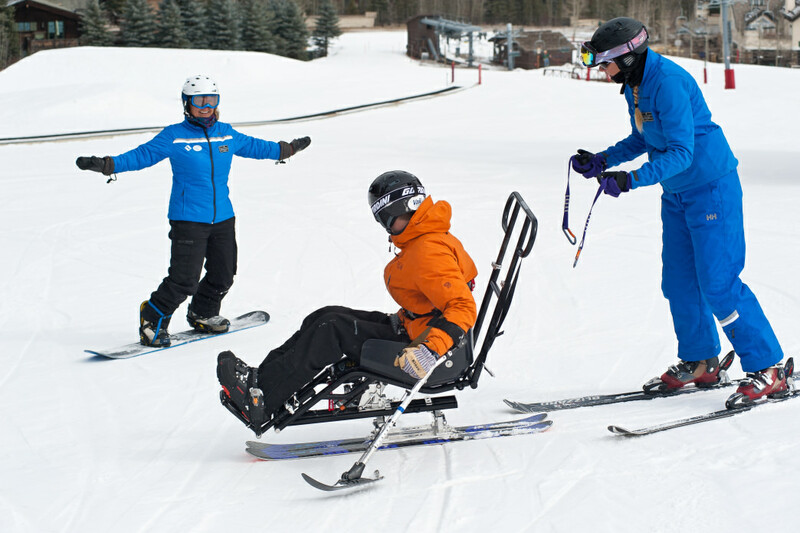 Adaptive ski programs make the sport accessible to everyone. Adaptive programs serve people with everything from brain injuries and limb amputations to epilepsy, Down syndrome, blindness, deafness, neurological disorders, cerebral palsy, muscular dystrophy, and quadriplegia, to name just a few. One shining example of the latter would be defending snowboard cross gold medalist Evan Strong. Hailing from Maui, Strong was an avid surfer and skateboarder before being struck by a drunk driver when he was riding his motorcycle at age 17, resulting in the amputation of his left leg. Determined to the core, Strong was learning to skateboard again a couple of years later and looking through a snowboard magazine when he was drawn to the sight of snowy, white peaks. 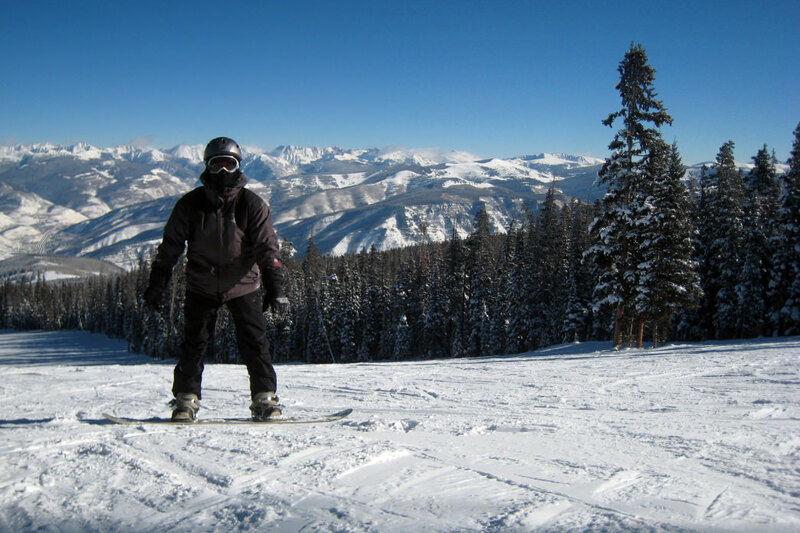 He moved to Tahoe, California, and learned to snowboard at Northstar Resort. Strong went on to win a gold medal in the 2014 Winter Games. He also helps inspire and teach up-and-coming adaptive snow sport athletes in events such as the annual Hartford Ski Spectacular at Breckenridge. There are many inspiring instructors at the ski schools. Six-time medalist Alana Nichols is another inspiring instructor at the Ski Spectacular. Nichols grew up as a snowboard enthusiast, but after landing on a rock attempting to do a backflip, she was left paralyzed from the waist down. This did not stop her from learning to play wheelchair basketball and then to monoski. She landed her first gold playing basketball in the 2008 Summer Games, then won four medals, including two more golds while ski racing in Vancouver 2010, then added another silver in Sochi 2014. Written by Shauna Farnell for RootsRated in partnership with Rent Skis.